47 Brand 100% cotton 1/4 zip, mock turtleneck, grey pullover with ribbed detail at neck, end of sleeves, and bottom of pullover. 'BROWN' sewn-on in cardinal fabric letters with white felt outline on front. Grey, cardinal, black, white, and yellow embroidered Crest on black felt patch on upper-left sleeve. 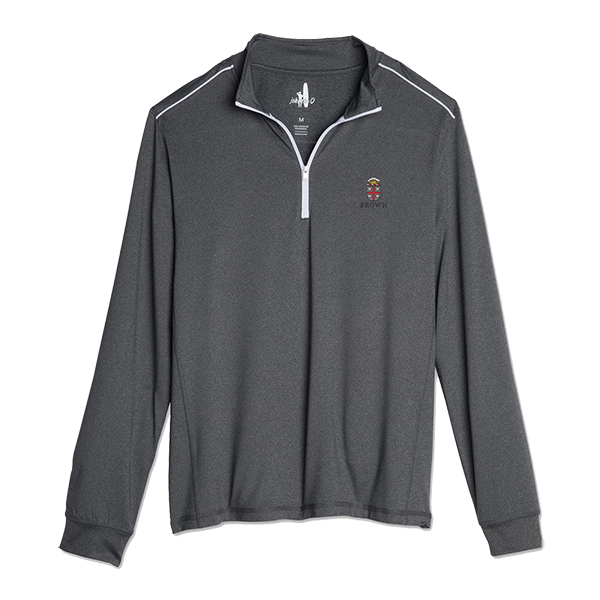 Please select option for 47 Brand Grey 1/4 Zip Pullover - $86.99. 47 Brand 100% cotton 1/4 zip, mock turtleneck, navy pullover with ribbed detail at neck, end of sleeves, and bottom of pullover. 'BROWN' sewn-on in cardinal fabric letters with white felt outline on front. Red, white, and black embroidered Crest on white fabric patch with white felt outline on upper-left sleeve. 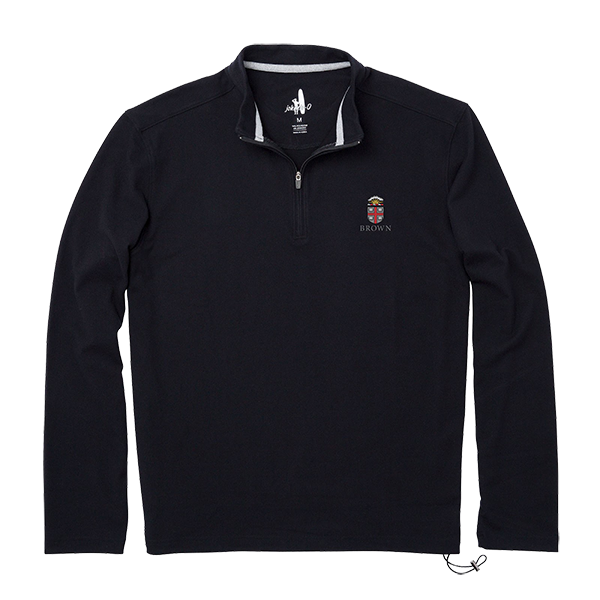 Please select option for 47 Brand Navy 1/4 Zip Pullover - $86.99. 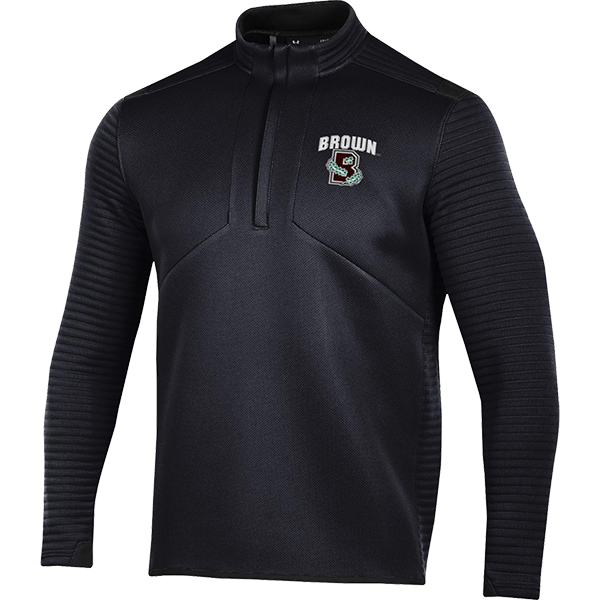 Champion 100% polyester, grey mesh lined neck, fleece-lined, 1/4 zip black pullover with hand-warmer pocket. 'BROWN' imprinted in cardinal with white outline above '17' in white next to cardinal and white Crest next to '64' in white above 'UNIVERSITY' in cardinal with white outline above 'PROVIDENCE, RI' in white. Please select option for Champion Black Univ. 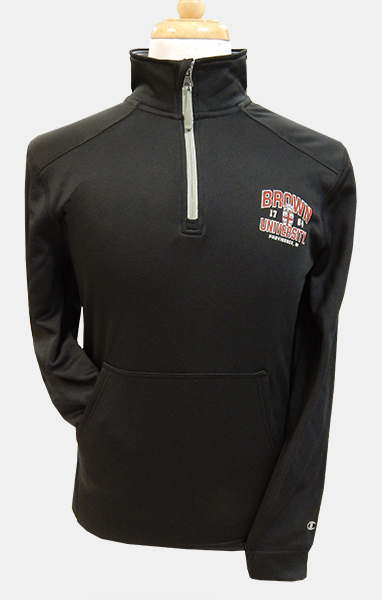 1/4 Zip Pullover - $49.99. 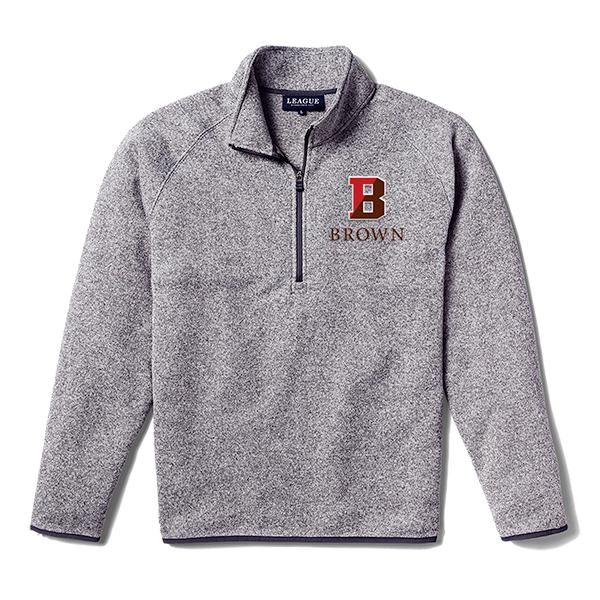 Champion 80% cotton, 20% polyester, 1/2 zip, charcoal pullover with grey trim at shoulders and back of neck, grey ribbed trim at end of sleeves and bottom, and side pockets. Embroidered cardinal, black, white, and gold patch Crest with white embroidered outline above 'BROWN' embroidered in cardinal on upper-left chest and 'BROWN' embroidered in white on upper-right sleeve (see inset). 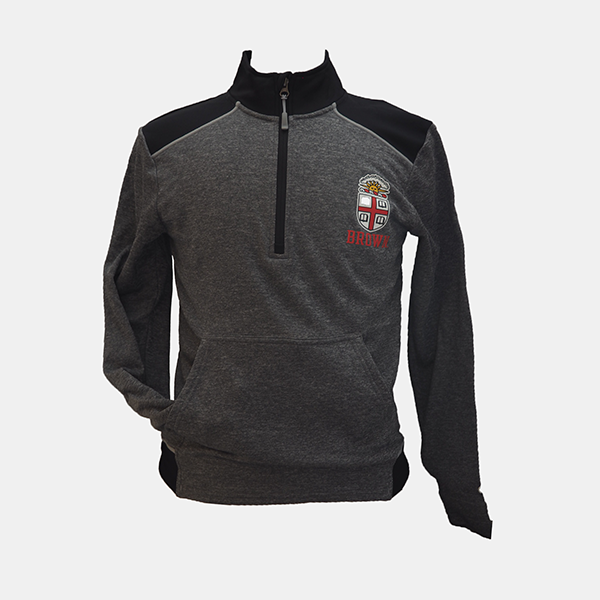 Please select option for Champion Charcoal & Grey Crest 1/2 Zip Pullover - $59.99. Champion, hood/upper sleeves 100% polyester, body/lower sleeves 88% polyester and 12% spandex. 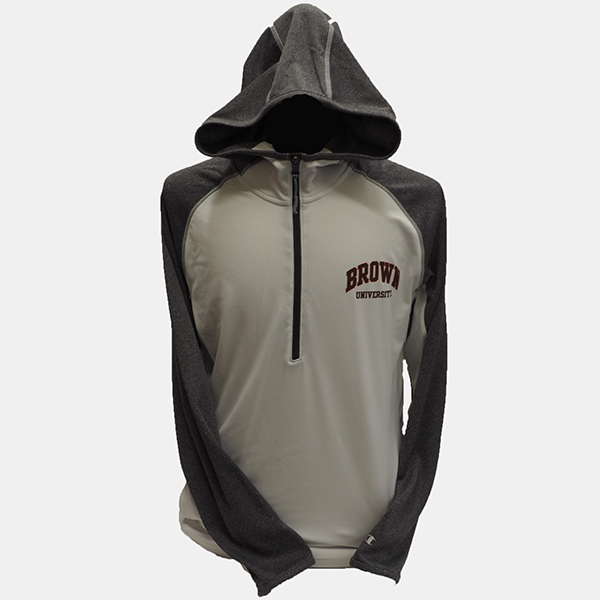 White 1/4-length zipper pullover hooded sweatshirt with grey hood and upper sleeves. 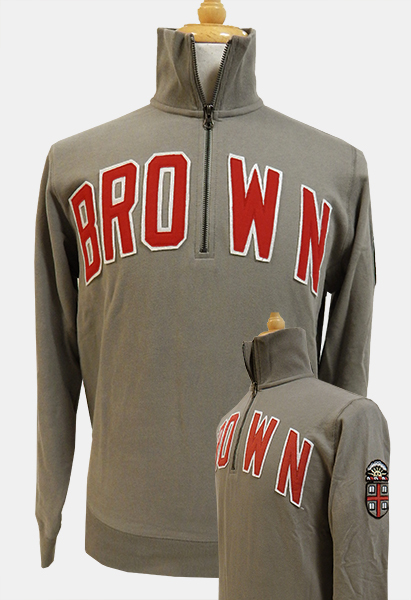 'BROWN' imprinted in brown with cardinal outline above 'UNIVERSITY' imprinted in brown on left chest. Features two front pockets. 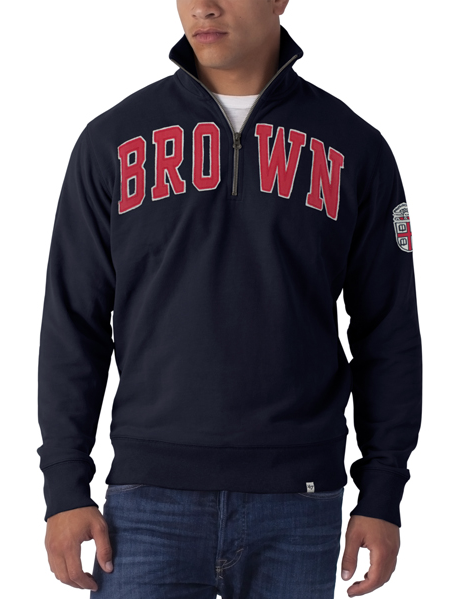 Please select option for Champion Convergence Hooded Pullover 1/4 Zip - $57.99. 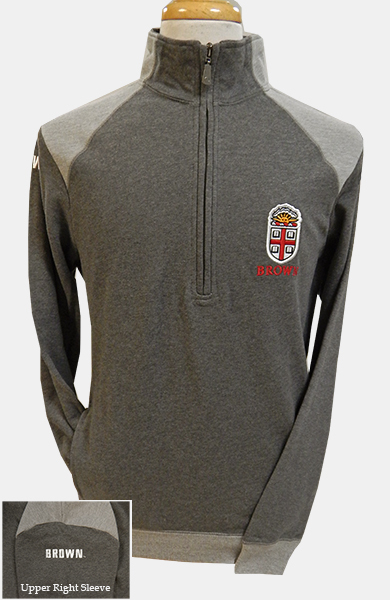 Champion 100% polyester, grey pullover 1/4 zip jacket with front pocket and black shoulders, waistband, and neck. Crest on front left breast in gold, white, black, and cardinal above 'BROWN' imprinted in cardinal. Please select option for Champion Grey 1/4 Zip Pullover - $54.99. 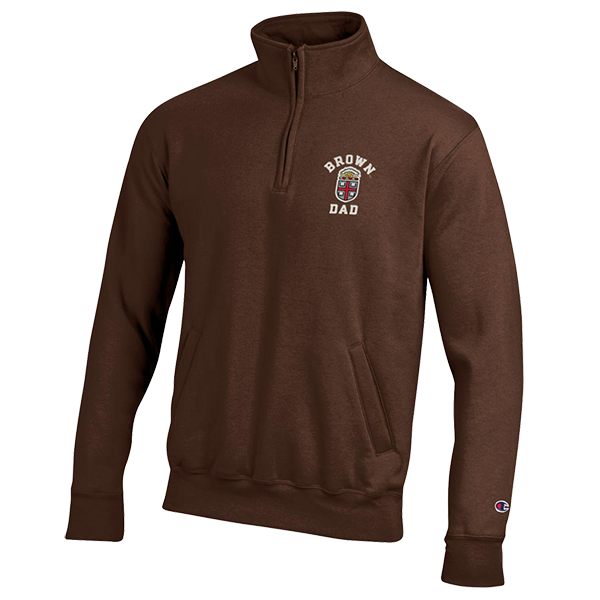 Please select option for Charles River Men's 1/4-Zip Fleece Pullover - $68.99. 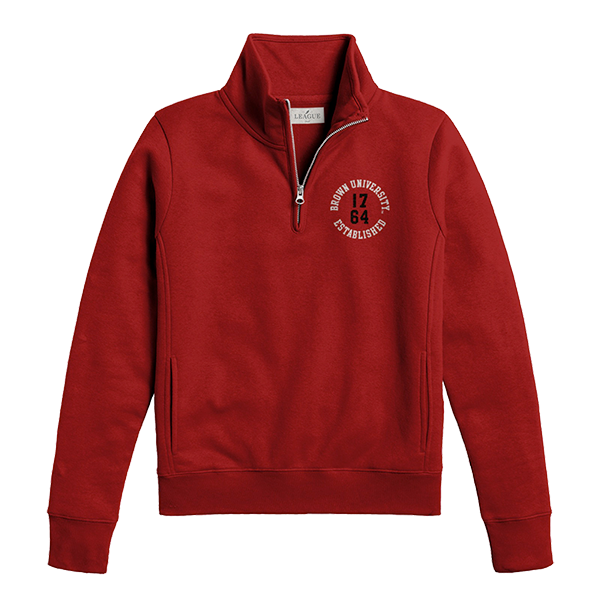 Charles River 60% cotton, 40% polyester, 1/4 zip, charcoal pullover with side pockets. Embroidered red, grey, gold, black, and white Crest above 'BROWN DAD' embroidered in black on upper-left chest. 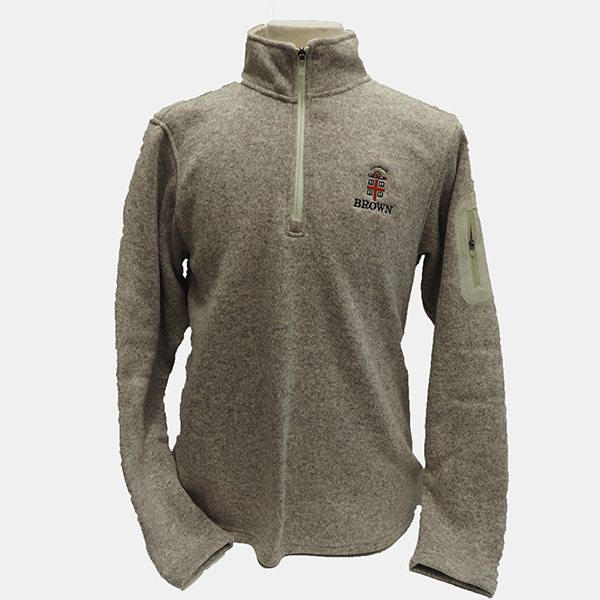 Please select option for Dad CR Grey Crest 1/4 Zip Pullover - $49.99. 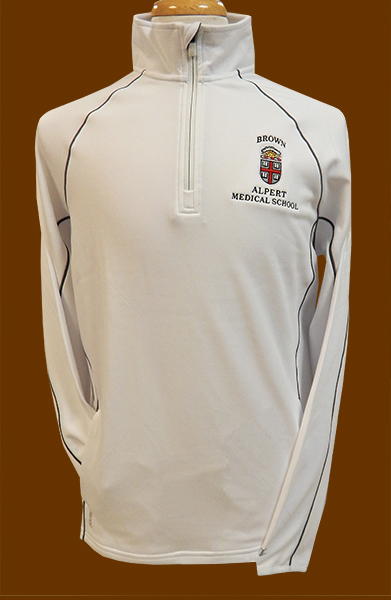 Gear 55% cotton, 45% polyester, suede-trimmed 1/4 zip pullover with ribbed trim at end of sleeves and bottom. Embroidered cardinal, white, and brown Crest with brown embroidered wheat stalks above 'BROWN' embroidered in white. 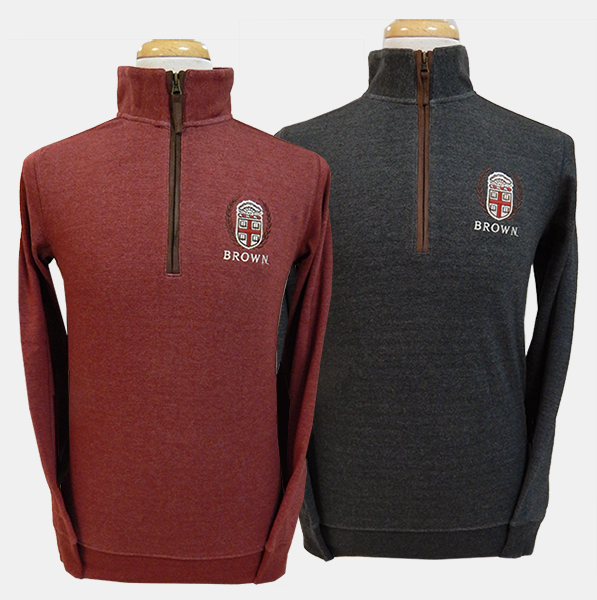 Please select option for Gear Crest 1/4 Zip Pullovers - $75.99. 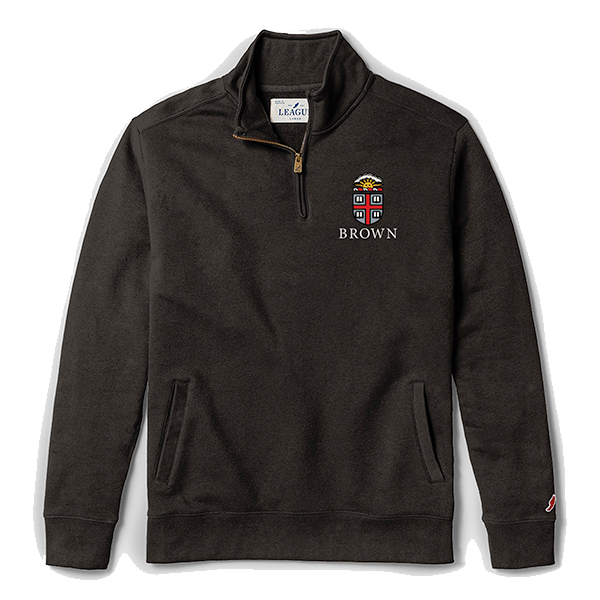 Please select option for Johnnie-O Brady 1/4 Zip Fleece. 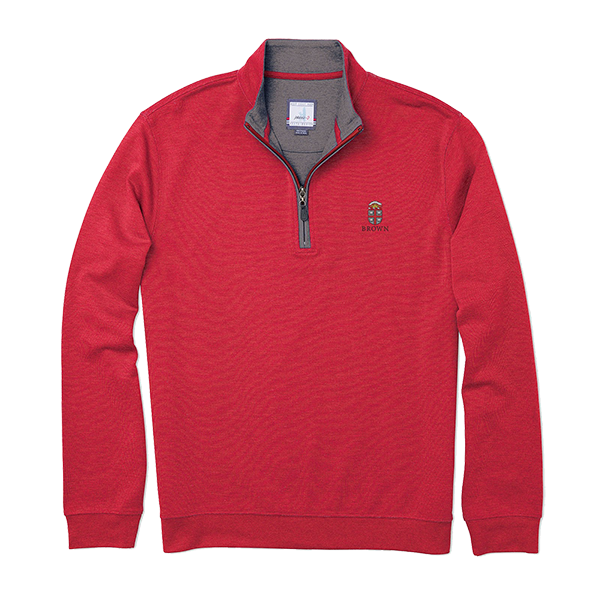 Please select option for Johnnie-O Lammie 1/4 Zip Fleece. 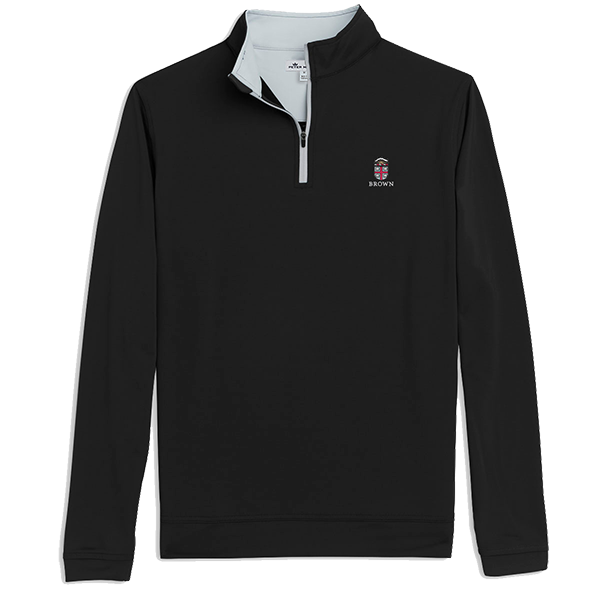 Please select option for Johnnie-O Sully 1/4 Zip Fleece. Please select option for League Academy 1/4 Zip - True Red. 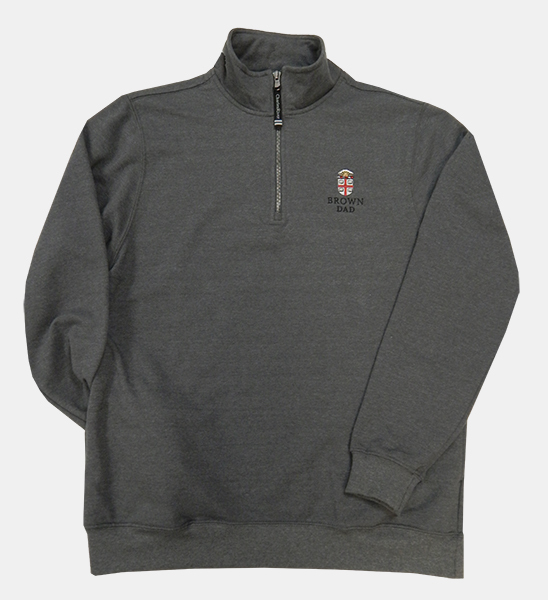 Please select option for League Men's Saranac 1/4 Zip - Gray. Please select option for League Stadium 1/4 Zip - True Black. 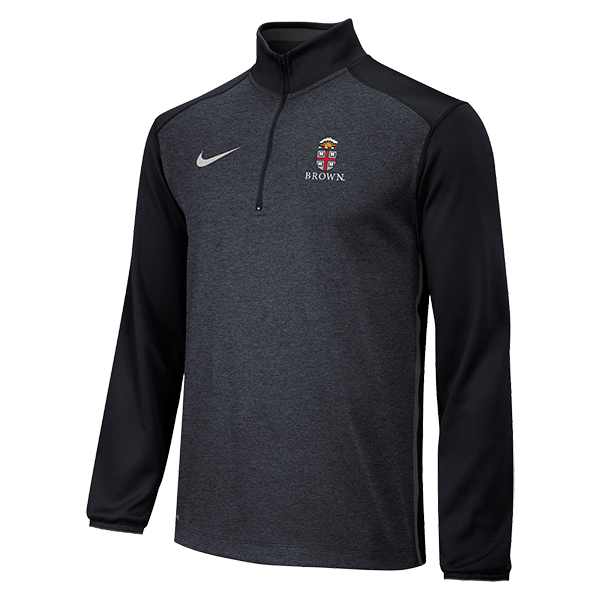 Please select option for Nike Men's Coaches 1/2 Zip Pullover. 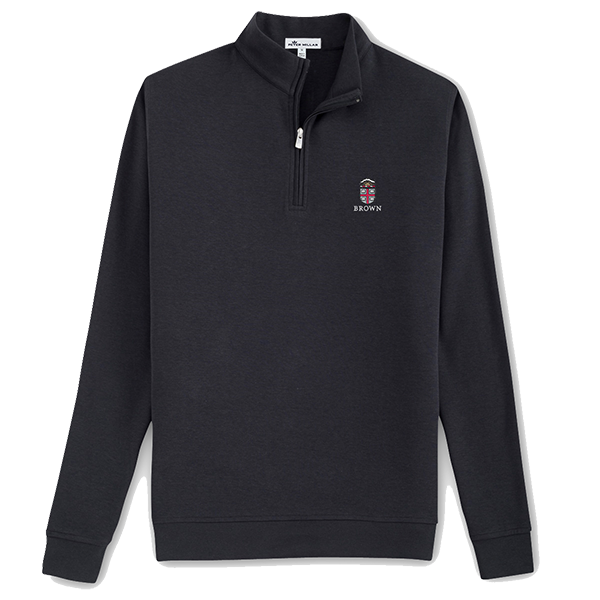 Please select option for Peter Millar Melange 1/4 Zip Fleece - Black or Sport Gray. Please select option for Peter Millar Perth 1/4 Zip. Please select option for Under Armour Daytona 1/4 Zip.